This screen should be fine as is. 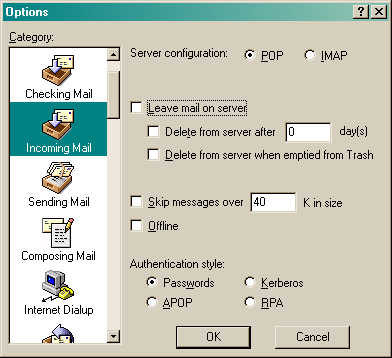 If you wish your POP account to store a copy of your messages on the server make that selection here. The click "Sending Mail" to continue.